Home/advent calendar, weddings/Day 14 – Ceremony success – it’s in the bag! Ceremony success – it’s in the bag! What a fantastic idea; to have your wedding in France! It’s a really beautiful country with amazing landscapes, stunning venues, great food and drink and of course lovely weather. You’ve probably spent months or even years planning to make sure every little detail is covered and nothing can spoil your special day. But there are some things that can’t be booked but can definitely be planned for, like the weather. Most couples think about what they’ll do if it rains but because we often luxuriate in the sun,we don’t think of it as a problem. 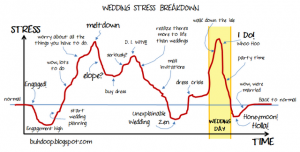 If you have a wedding planner, or venue owner who is very helpful, they’ll keep you straight. If not, keep an eye on the weather and not just the temperature but when the hottest part day of the day is. In south west France often it’s hottest between 3-5pm. So depending on the time of your ceremony, make sure there’s enough shade and you may need to provide water or even handheld fans as well. It’s a bank holiday in your country, so you decide it’s a great idea to have your wedding that weekend and then everyone won’t have to take too many extra days off work. The only problem is, other couples are having exactly the same great idea. Each year there are specific dates that as a celebrant, I could take bookings for over and over and over again. I absolutely hate saying “sorry I’m booked” especially when I know that my fellow celebrants are also booked and I have nobody I can recommend to the couple. So please book early and avoid that crazy date dilemma. You can only be legally married in France by the Mayor at the Mairie (town hall). This is about legally registering the marriage just like you register a birth or death. 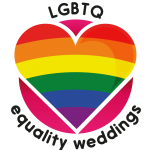 Couples then can have a religious or celebrant-led ceremony to celebrate with family and friends. In France you have to be resident here for 30 days before your wedding date. This is open to interpretation and some mayors will marry you if your parent or parents live here, or have a holiday home here. For more details you can find out exactly what paperwork is required here. To make sure your ceremony is very personal, celebrants send both of you a questionnaire. 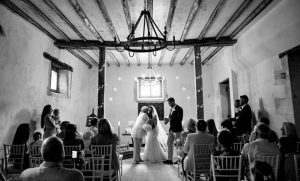 We use the answers to create a bespoke ceremony that is full of wonderful stories about how you met, what you love doing together and your plans for the future. It’s really important to be as open and honest as you feel comfortable with and definitely not give one or two words answers! This is why I feel it’s important to find a celebrant you’re comfortable talking to and they work at getting to know you as individuals and as well as a couple. I love my job. 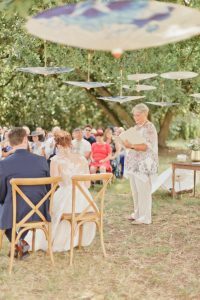 As a celebrant: I get to meet fantastic couples and hear their love stories; I travel all over south west and central France to amazing venues; and I’m a part of weddings, one of the most joyful events in people’s lives. 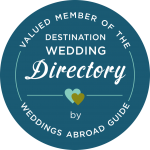 So if you’re planning a wedding in France and need a celebrant get in touch and fingers crossed I’ll be available. Just as a heads up – 2019’s crazy date is 29th June!! No kidding.